There are few things colder than the blackness of space. But lying here, I couldn't imagine anything colder than the Human heart that left me half-conscious at the entrance to Docking Bay 12. Cecil Castellucci is a two-time MacDowell Colony fellow, an award-winning author of five books for young adults, and the YA and children's book editor of the Los Angeles Review of Books. Born in New York City, Cecil lives in Los Angeles. 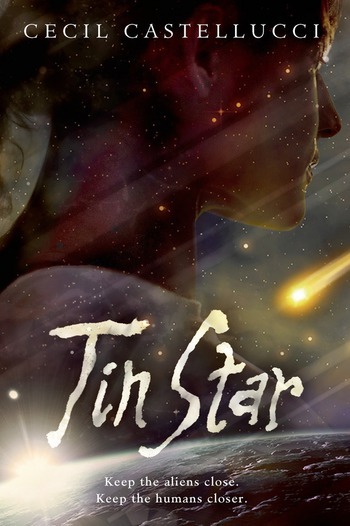 For the research of Tin Star, Cecil attended LaunchPad, a NASA funded workshop intended to teach writers of science fiction about the most up-to-date and correct space science.